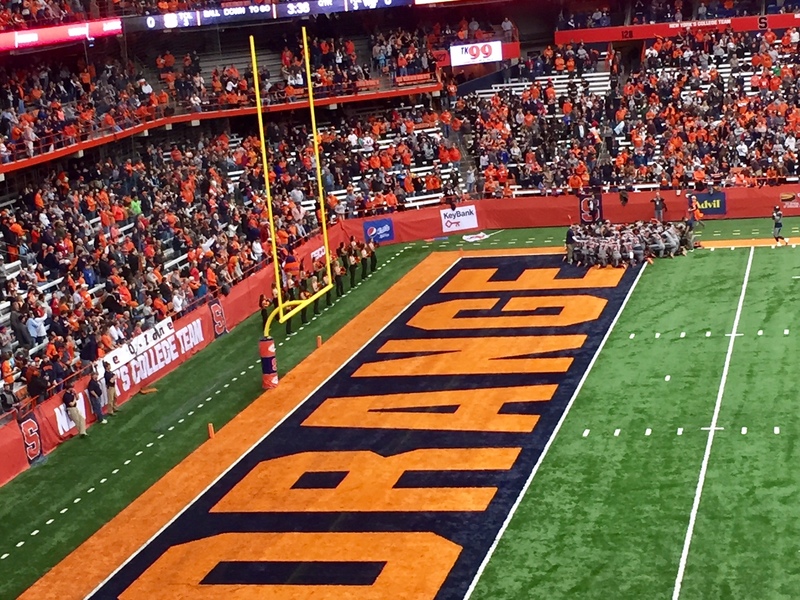 The Syracuse Orange went with a different look for Saturday’s game in the Carrier Dome. Not the blue jerseys. Not the orange jerseys. For this important game against Wake Forest, the hometown squad put on the grays. My dear wife Karen and I thought they looked kind of sharp warming up for the game so important for their chances to reach the six victories needed to reach a bowl game when the season ends three games down the road. First half, very good, even though star quarterback Eric Dungey didn’t play, staying on the bench from the aftermath of the foot and knee troubles suffered in last week’s loss at Florida State. Second-string Zack Mahoney looked marvelous those first 30 minutes, though the defense got off to s shaky start. Mahoney thrilled the loyal in the crowd of 38,539 with some surprising sleight of hand and accurate passing. Syracuse led 38-24 at the half. But, oh, that last half and the work of Wake Forest’s own fantastic QB, John Wolford. He slashed the Orange defense to the final tune of 64-43. Now Syracuse is 4-6, with a game next week at Louisville and the finale the Saturday after at home against Boston College. Yikes. A full Red house beat the Orange Out, but who cares, really? Yes, ouch was said many times that second half, Beth.